The National Science Foundation (NSF) is responsible for supporting fundamental research and education in all the non-medical fields of science and engineering (the National Institutes of Health [NIH] is its counterpart for medical research). NSF funds approximately 20% of research programs conducted at colleges and universities. In some fields, such as mathematics, computer science, economics and the social sciences, the NSF is the main source of financial backing. Working with the 24-member National Science Board, the NSF’s director and deputy director work to plan, budget for and carry out daily operations of the foundation. 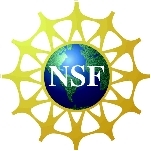 The National Science Board (NSB) determines NSF’s policies. In the years prior to World War II, scientific research was not considered part of the federal government’s responsibilities. Private contributions and charitable foundations provided much of the funding for scientific experimentation. During WWII, American military success brought about greater awareness of the need for continued scientific and engineering research, and Congress began to consider funding initiatives in these areas. In 1945, the head of the federal government’s wartime Office of Scientific Research and Development gave a report to President Harry S. Truman. Called “Science, the Endless Frontier,” the report laid out a strong case for having the federal government fund ongoing scientific research. It characterized the rich rewards society would reap from such research, including better health care, a more robust economy and a stronger national defense. The report concluded with a suggestion to create a new federal agency to administer these efforts. During the next five years, there was much debate on the future of such an agency, but no real consensus. Finally, on May 10, 1950, President Truman signed Public Law 507, which created the National Science Foundation. The law provided for a National Science Board to be comprised of 24 part-time members, a director and deputy director, all of whom would be appointed by the president. In 1951, Truman nominated Alan T. Waterman, the chief scientist at the Office of Naval Research, to become the agency’s first director. At first, little funding was approved because the Korean War was absorbing the bulk of the nation’s available capital. By 1952, the first few research grants were awarded, but the agency’s budget was still only $3.5 million, which was about 10% of the amount requested. The launch of the Soviet Sputnik satellite on October 5, 1957, made science research a lot more important in the minds of Americans, who did not want to lose the space race to the Communists. For 1959, Congress increased the NSF’s budget to $134 million, nearly $100 million more than the previous year. This would grow to nearly $500 million by 1968. In 1959, the first national observatory was established at Kitt Peak, near Tucson, Arizona. This site became a research center that made state-of-the-art equipment, especially telescopes, available to a larger pool of researchers. Over the next few years, several additional observatories, including the National Optical Astronomy Observatory, the National Radio Astronomy Observatory, the National Solar Observatory, the Gemini Observatory and the Arecibo Observatory, were created. The astronomy program forged an ongoing relationship with NASA, which handles U.S. space-based astronomy (NSF handles the country’s ground-based astronomy). That same year also brought about a treaty between the United States and the other nations operating in Antarctica to ensure the continuance of peaceful and scientific research. The 1960s witnessed a good deal of NSF growth, based around international scientific and technological competition. The Institutional Support program, designed to fund research infrastructure at American universities, was established. The number of grants reached 2,000 per year. Additionally, the Deep Sea Drilling Project was begun. The project revealed brand new information about continental drift, sea floor spreading and the general usefulness of the ocean basins. Several other countries joined in this project in a cooperative way. In the 1970s, the NSF became engaged with the Pentagon’s Defense Advanced Research Projects Agency (DARPA) and encouraged physicists, chemists, engineers, and metallurgists to cross-existing departmental boundaries in order to solve larger problems. Many NSF laboratories expanded into a nationwide network of Materials Research and Science and Engineering Centers. A biennial report on Science and Engineering Indicators is sent to the president and Congress. DARPA and NSF created the first “Internet” in 1977. NSF scientists organized this loose collection of networks into a three-tiered system of internetworks managed by several universities, non-profit organizations, and government agencies. By the mid-1980s, the NSF assumed financial support for this growing project. Throughout the 1980s, the agency budget increased, topping out at more than $1 billion for the first time in 1983. The NSF helped to deliver ozone sensors to the South Pole to help researchers measure stratospheric ozone loss. In the 1990s, NSF’s appropriation passed $2 billion for the first time. Some of the foundation’s new initiatives included development of curricula devised by the National Council of Teachers of Mathematics. These standards were widely adopted by school districts over the next decade, but they also launched a controversy popularly called the “math wars” that brought complaints that schools were skipping teaching of basic skills in favor of this new math curriculum. In 1991, the NSFNET, as the fledgling Internet was called, was altered to allow commercial traffic. By 1995, NSF decommissioned NSFNET, making way for public use of the Internet. In 1993, students and staff at the NSF-supported National Center for Supercomputing Applications (NCSA) developed Mosaic, which was the first available browser to load World Wide Web pages with both graphics and text. It became the browser of choice for more than a million users within 18 months of its release. In 1994, the NSF and DARPA launched the Digital Library Initiative. At Stanford University, two graduate students named Larry Page and Sergey Brin received an NSF grant and began to develop a search engine using links between web pages as a ranking method. Later, they commercialized their discovery under the name Google. By 1996, NSF-funded research revealed that the chemistry of the atmosphere above Antarctica was abnormal, and that levels of key chlorine compounds were greatly elevated. This eventually became known as the “hole in the ozone layer” and spurred more research into global warming. Other NSF-funded research found that the expansion of the universe was speeding up due to a previously unknown force, now called “dark matter.” As a result, many galaxies are being pushed apart as never before. In the new millennium, the NSF joined with other federal agencies in the National Nanotechnology Initiative, which directed funds toward research into matter at the molecular and atomic levels. The agency’s appropriation continued to grow, passing $4 billion, then $5 and $6 billion. Although the NSF’s Survey of Public Attitudes Toward an Understanding of Science and Technology revealed that the public had a positive attitude but poor understanding of science, the agency continued to press forward with its plans. In 2005, NSF’s deployment of “rapid response” research teams in the wake of the Indian Ocean Tsunami and Hurricane Katrina helped to undercover why levees and other human-designed protective measures failed to protect citizens. That same year, the NSF partnered with the National Endowment for the Humanities in a program to document the more than 3,000 endangered languages around the world. In 2009, an international team of 47 scientists—funded by the NSF and other organizations—completed the reconstruction of “Ardi,” the oldest known Hominid skeleton, a 4.4-million-year-old two-legged female that lived in trees and was a common ancestor of the chimp and the human. The National Science Foundation (NSF is responsible for furthering research and education in the non-medical fields of science and engineering. It does this largely by distributing funds to universities and colleges across the nation. The NSF receives approximately 42,000 proposals each year and funds around 28% of those proposals. The reviews are conducted by panels of independent scientists, engineers, and educators who are experts in relevant areas of study. To avoid conflict of interest issues, these scientists cannot work for NSF or for any institution employing the proposing researchers. NSF grants support researchers and research facilities, as well as science, engineering, and mathematics education from pre-kindergarten through graduate school. Undergraduates can receive funding through Research Experiences for Undergraduates (REU) summer programs, and graduate students are supported through Integrative Graduate Education Research Traineeships (IGERT) and Alliance for Graduate Education and the Professoriate (AGEP) programs, as well as through the Graduate Research Fellowships (NSF-GRFP). Biological Sciences - This office oversees research and educational initiatives in molecular, cellular, and organismal biology, as well as environmental science. Computer and Information Science and Engineering - This office oversees research in the areas of fundamental computer science, computer and networking systems, and artificial intelligence. Engineering - This office oversees bioengineering, environmental systems, civil and mechanical systems, chemical and transport systems, electrical and communications systems, and design and manufacturing. Geosciences - This office is responsible for geological, atmospheric, and ocean sciences. Mathematical and Physical Sciences - This office handles initiatives in the areas of mathematics, astronomy, physics, chemistry, and materials science. Social, Behavioral and Economic Sciences - This office oversees neuroscience, psychology, sociology, anthropology, linguistics, and economics. Education and Human Resources - This office handles education initiatives in science, technology, engineering, and mathematics at every level, from pre-kindergarten up. Office of Cyberinfrastructure (OCI), which coordinates and supports the acquisition, development and provision of state-of-the-art cyberinfrastructure resources, tools, and services. This includes supercomputers, high-capacity mass storage systems, system software suites and programming environments, scalable interactive visualization tools, productivity software libraries and tools, large-scale data repositories and digitized scientific data management systems, networks and an array of software tools and services to enhance usability. Office of Polar Programs (OPP), which manages and initiates NSF funding for basic research and its operational support in the Arctic and Antarctic. OPP supports individual investigators or research teams and U.S. participation in multinational projects. Projects are funded on their ability to help understand Earth and its systems, explore the geographical frontier and perform science enabled by the polar setting. Office of Integrative Activities (OIA), which supports the efforts and policy of the director and deputy director of the NSF to promote unity and alignment in support of the agency’s mission. This includes strategic planning, establishing partnerships, policy support, and analysis of external reports. Office of International Science and Engineering (OISE), which serves as a focal point for the international science and engineering communities internally and externally. This office supports programs to expand and enhance research and educational opportunities for U.S. scientists and engineers at the early stages of their careers. The NSF has also launched a number of crosscutting projects coordinating the efforts of experts across an array of disciplines. A few of the current projects include: Nanotechnology, cloud computing, explosives and related threats, and climate change education. Are Invisibility Cloaks Hiding Around the Corner? The NSF spent $16.6 billion on nearly 180,000 transactions this decade. According to USASpending.gov, the agency paid for a variety of services, from operation of government-owned facilities ($1.286 billion) to professional services ($1.194 billion), ADP and telecommunications ($951.5 million), and building maintenance ($676 million). NSF’s largest contractor is the Raytheon Company, which is best known for its work with the U.S. military on guided missiles, engineering, night vision equipment, radar equipment, and defense missile and space systems. In Centennial, Colorado, Raytheon operates a research & development center for the National Science Foundation. According to the National Science Foundation’s Web site, Raytheon oversees the Raytheon Polar Services Company, which provides services for researchers at the South Pole through NSF’s Office of Polar Programs. In addition to spending money on contractors, the NSF distributes millions of dollars in grants to support research. The foundation’s Active Funding Opportunities details projects for which organizations can submit proposals. It also reports on centers (pdf) that NSF has funded. Senator Tom Coburn (R-Oklahoma), a crusader against government waste, accused the National Science Foundation (NSF) in May 2011 of spending billions of dollars on unnecessary research. a robot folding laundry and other needless developments. Representatives of the science lobby rejected Coburn’s assertions. Howard Silver, executive director of the Consortium of Social Science Associations, characterized the attacks on “silly grants” as “irresponsible.” He also said the senator’s report was filled with errors and questionable analyses. Coburn’s report was not entirely critical of the NSF. It credited the NSF with making “worthwhile investments,” including research that helped develop the Internet, magnetic resonance imaging, bar codes and retinal implants. Scientists and the White House were taken aback in March 2010 when a report by the National Science Board (NSB), which oversees the National Science Foundation, left out data on Americans’ knowledge of evolution and the big bang. The censored information, obtained by Science Insider, showed that Americans were far less likely than people in other countries to accept that humans evolved from apes and that the universe began after a great explosion. Members of the NSB said they chose to omit the data because it originated from source questions that asked respondents to choose between factual knowledge and religious beliefs. The explanation did not satisfy many scientists who were outraged by the board’s actions. Aides to President Barack Obama, who reviewed the draft report before it was edited, also were miffed, saying the deletions were done without their knowledge. In response to a 2001 NSF survey, an overwhelming majority of people (88%) agreed that “there are some good ways of treating sickness that medical science does not recognize.” The American Medical Association defines alternative medicine as any diagnostic method, treatment, or therapy that is “neither taught widely in U.S. medical schools nor generally available in U.S. hospitals.” However, at least 60% of U.S. medical schools devote classroom time to the teaching of alternative therapies, generating controversy within the scientific community. Many scientists believe that alternative therapies such as homeopathy and herbs are untested and unregulated treatments that are not beneficial to people. Among the 16 therapies included, the largest increases between 1990 and 1997 were in the use of herbal medicine (a 380% increase), massage, megavitamins, self-help groups, folk remedies, energy healing, and homeopathy. From 1987 to 1995, Internet stakeholders expressed concern that when NSFNET opened up the Internet, IBM, and MCI were given a perceived competitive advantage in “leveraging” federal research money to gain ground in fields in which other companies previously held a competitive advantage. The Cook Report on the Internet became the largest critic of this unfair advantage. In 2001, the National Science Teachers Association (NSTA), made up of 53,000 educators across the country, declined an offer of 50,000 free DVD copies of Al Gore’s An Inconvenient Truth. Although NSTA Director Dr. Gerry Wheeler said that the organization does not distribute third-party products, the film’s producer, Laurie David, wrote a scathing op-ed in The Washington Post, accusing the NSTA of accepting money from Exxon-Mobil, among other gas and oil companies, which had tried to discredit the science behind the film before it was released. The NSTA is funded by Congress and affiliated with the NSF in its educational programs. In 2005, a movement arose to include “intelligent design” as a subject matter in public school science classes and/or to label evolution as “simply a theory.” On one side of the argument were scientists who claimed that religious belief systems had no place in the classroom, and on the other were religious communities that want their belief systems reflected in current public school curriculum. The Theory of Evolution through natural selection is currently used by biologists, medical researchers, pharmaceutical developers, anthropologists, chemists, biochemists, geologists, and many other researchers. In contrast, the theory of intelligent design holds that life is too complex to have happened by chance and that, therefore, some sort of intelligent designer must be responsible. The National Science Foundation’s plans to build a so-called Ice Highway in Antarctica ran into trouble when the Antarctica and Southern Ocean Coalition (ASOC), an alliance of 230 environmental groups in 49 countries, raised concerns about the 1,014-mile road across the continent’s pristine wilderness. Explorer Sir Edmund Hillary even entered the fray, saying the Ice Highway was “an abomination.” Builders contend that the road is necessary to facilitate scientific experimentation and sharing of information among countries currently doing research in Antarctica. Researchers seeking funding from the National Science Foundation (NSF) would have to show how their work meets national benchmarks in order to qualify for grants, under reforms discussed in 2011. Before the proposed changes, researchers merely had to show the NSF how their research would benefit society through education, outreach, or other means. But the reforms, developed by the National Science Board, linked funding to meeting one nine “national goals,” such as bolstering national security or economic competitiveness. Some scientists complained the new goals seemed arbitrary. They also said NSF review panels “would be forced to prioritize these goals since they will be presented with proposals that are equally meritorious, but advancing different goals,” according to Science Insider. A creationist teacher in Ohio was fired in June 2008. A bill to allow creationism to be taught in Louisiana schools landed on Governor Bobby Jindal’s desk. A June 21, 2008, editorial in the New York Times urged Jindal to veto the bill. In July 3, 2008, Governor Bobby Jindal signed Senate Bill 733 into law, which allows the teaching of both evolution and creationism in schools. Since 2008, anti-evolution bills were also introduced in Alabama, Florida, Iowa, Kentucky, South Carolina, Michigan, Missouri, New Mexico, Oklahoma, Tennessee, and Texas legislatures. Only the bill in Tennessee, which came to a senate vote on March 19, 2012, has been passed to date. Supporters of evolution argue that humans evolved from apes over thousands of years. The landmark 1925 Scopes “monkey” trial, in which Tennessee high school teacher John Scopes was charged with teaching evolution from a book by Charles Darwin, had established that state-funded public schools had to teach that man had descended from God’s original creation. Scopes’ attorney, Clarence Darrow, argued that Scopes was within his rights as an employee of the state, under the separation of church and state as guaranteed by the Constitution. Although Scopes was found guilty of teaching disallowed material and ordered to pay a fine of $100, the case influenced several other evolution/creationist cases over the succeeding decades. The Butler Act of 1925, the original statute that had been broken by Scopes, remained on the books in Tennessee until it was repealed by the state legislature in 1967. During the Scopes trial, prosecutor William Jennings Bryan argued that Scopes was bound by law to teach the state-mandated curriculum that restricted anything that denied the story of the “Divine Creation of Man.” Believers in intelligent design argue that life is too complex to have happened as the result of chance. Instead, some sort of intelligent designer, or God, had to have been responsible for creating it. Defenders of this thought were outraged by a 1987 Supreme Court ruling that struck down a Louisiana law that prohibited the teaching of evolution unless equal time was given to creationism. But victory was attained in 1999 when the Kansas State Board of Education decided to delete evolution from the state’s science standards. Over the past decade, controversy over the teaching of evolution has emerged in Kansas and nearly 20 other states. Proponents of Intelligent Design want to introduce it in science classrooms as a viable alternative to evolution, and to add disclaimers about evolution in science textbooks going forward. President Barack Obama has nominated an astrophysicist who started out as a creative writer and has divided her scientific career between public service and work in academia to be the next head of the National Science Foundation. Dr. France Anne Córdova, who is president emerita of Purdue University, would succeed Dr. Subra Suresh, who took the job in June 2010. Born August 5, 1947, and baptized as Françoise at Notre Dame Cathedral in Paris, France, France Córdova is the oldest of twelve children of an Irish-American mother and a Mexican-American father. Her father, Frederick Córdova, was a West Point graduate posted in Paris to supervise the Cooperative for American Remittances Everywhere (CARE), a nonprofit organization set up after World War II to distribute food and clothing in war-torn Europe. France graduated Bishop Amat High School in La Puente, California, and went on to Stanford University, where she earned a B.A. in English in 1969. As part of an anthropology class at Stanford, Córdova conducted field work at a Zapotec Indian pueblo in Oaxaca, Mexico, writing a novella based on her experiences, The Women of Santo Domingo, which was named one of the top ten entries in a contest sponsored by Mademoiselle magazine. She also turned a collection of Zapotec recipes into a cookbook, and spent much of the 1970s as a staff member at The Los Angeles Times news service. Starting her career as a scientist, Córdova served as staff scientist in the Earth and Space Sciences Division at Los Alamos National Laboratory from 1979 to 1989 and as deputy group leader from 1988 to 1989. Moving on to academia, she was chair of the Department of Astronomy and Astrophysics at Penn State University from 1989 to 1993. Returning to government service, Córdova was the youngest ever and first woman to serve as NASA chief scientist, the primary scientific advisor to NASA administration and a key bridge between NASA and the broader scientific community, from 1993 to 1996. Córdova returned to academia in a series of mostly administrative roles. She served as vice-chancellor for Research and a professor of Physics at the University of California at Santa Barbara from 1997 to 2002, and as chancellor and distinguished professor of Physics and Astronomy at the University of California at Riverside from 2002 to 2007. In 2007, Córdova was named president of Purdue University, where she presided over the establishment of Purdue’s College of Health and Human Sciences and its Global Policy Research Institute. As she stepped down in 2012, Purdue re-named its Córdova Recreational Sports Center, whose $98 million renovation was approved during her presidency. Córdova’s scientific contributions have been in the areas of observational and experimental astrophysics, multi-spectral research on x-ray and gamma ray sources, and space-borne instrumentation. She has published more than 150 scientific papers, and has a current experiment on the European Space Agency’s X-Ray Multi-Mirror Mission. In September 2007, she was appointed to the board of directors of BioCrossroads, a government program trying to convert Indiana into a high-tech hotbed based on science and public-private collaborations. Córdova was appointed by President George W. Bush to the National Science Board in 2008, and by Barack Obama to the board of regents of the Smithsonian Institution in 2009. She was elected to the American Academy of Arts & Sciences, and is a national associate of the National Academies. Córdova is married to science educator Christian J. Foster, whom she met while rock climbing in 1983, and with whom she has two adult children, Anne-Catherine and Stephen. 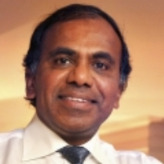 Most recently the dean of the engineering school at the Massachusetts Institute of Technology, Subra Suresh has been nominated by President Barack Obama to run the National Science Foundation, which supports fundamental research and education in science and engineering with an annual budget of $7 billion. Obama announced his choice of Suresh on June 2, 2010. Born in Bombay (Mumbai) India, Suresh completed his undergraduate studies in his home country, receiving his Bachelor of Technology degree with distinction from the Indian Institute of Technology, Madras (Chennai) in 1977. Relocating to the United States at the age of 21, he earned his Master of Science from Iowa State University in 1979, and his ScD from MIT in 1981. After working in India, he returned to the United States to do postdoctoral research from 1981 to 1983 at UC Berkeley and the Lawrence Berkeley Laboratory. Suresh then joined Brown University as an assistant professor of engineering in December 1983. Six years later he was promoted to full professor. In 1993, Suresh joined MIT as the R. P. Simmons Professor of Materials Science and Engineering. He later became the Vannevar Bush Professor of Engineering. Suresh holds joint faculty appointments in Materials Science and Engineering, Mechanical Engineering, Biological Engineering, and Health Sciences and Technology at MIT, and served as head of the Department of Materials Science and Engineering from January 2000 to January 2006. He began his tenure as dean of the School of Engineering in July 2007. His prior and ongoing work has led to contributions in the area of nano- and micro-scale mechanical properties of engineered materials. He has been a proponent of the fusion of engineering and biology and has studied how malaria works in blood cells. Suresh has authored more than 200 research articles in international journals, co-edited five books, authored or coauthored three books and co-invented 14 U.S. and international patents. He is the founding chair of the Singapore-MIT Alliance (SMA) Programme on Advanced Materials and also the founding director of the Global Enterprise for Micromechanics and Molecular Medicine (GEM4). Elected to a number of major science and engineering academies, Suresh belongs to the U.S. National Academy of Engineering (2002), American Academy of Arts and Sciences (2004), and Indian National Academy of Engineering (2004, foreign member). Suresh and his wife, Mary, who met during his stint at Brown University, have two daughters, Nina and Meera.